After a whole week of endless eating due to several restaurant visits for the Vancouver Foodie Feast, Mijune and I were not really all that interested in eating anymore. I know, that sounds impossible. Well, to be honest, that is impossible when it comes to us. Hence, when I queried Mijune about dinner, she was more than happy to join me for more eating. 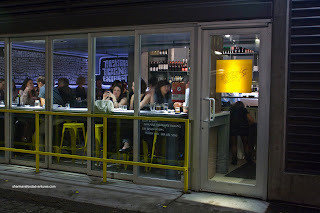 My thought was to try out the relatively new Nicli Antica Pizzeria on Cordova. Now, that seemed like an easy thing to do since we were in Downtown already. However, finding parking was an epic fail of epic fails. First, all the closer parking spots were tak en. Second, we tried to park farther away; but as we were about to get out of the car, we already spotted the spare change paparazzi. Hey, I do realize there are people less fortunate than us; but I'd rather hand out something productive rather than spare change. I digress. So when we did find parking, my change got stuck in the meter! And the next space, the same! I lost 2 bux that way! Finally, we parked 2 blocks away and found out that there was an hour wait... FML... 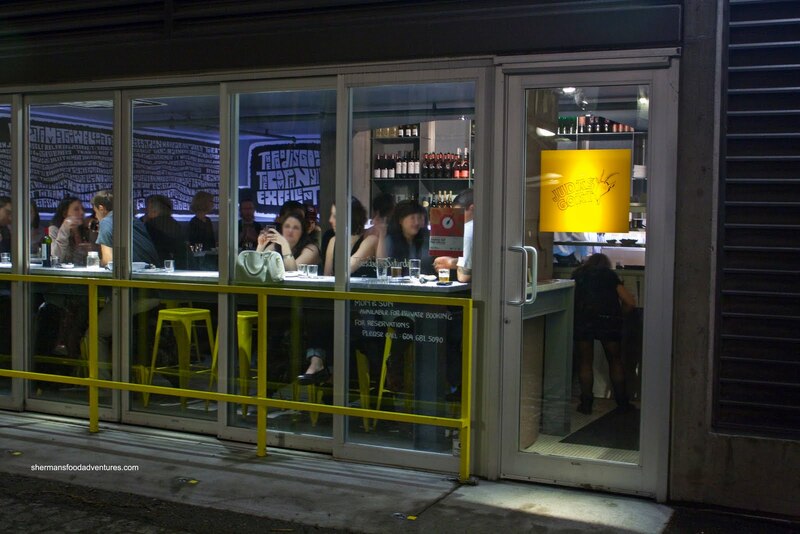 Okay, finding a place to eat in Gastown shouldn't be too hard can it? So, why not wandering into Bloo d Alley and try out Judas Goat. Ah yes, this place was on my radar when it first opened; but totally forgotten after that. Hey, it worked for us. We weren't that hungry and they conveniently had 2 spots left. Now, when we say we weren't hungry, I guess that is all relative. I went to the washroom and let Mijune do the ordering. Upon my return, I found out we had 9 dishes coming! I'll say it and I'll say it again... Eating with Mijune is hazardous to one's health! 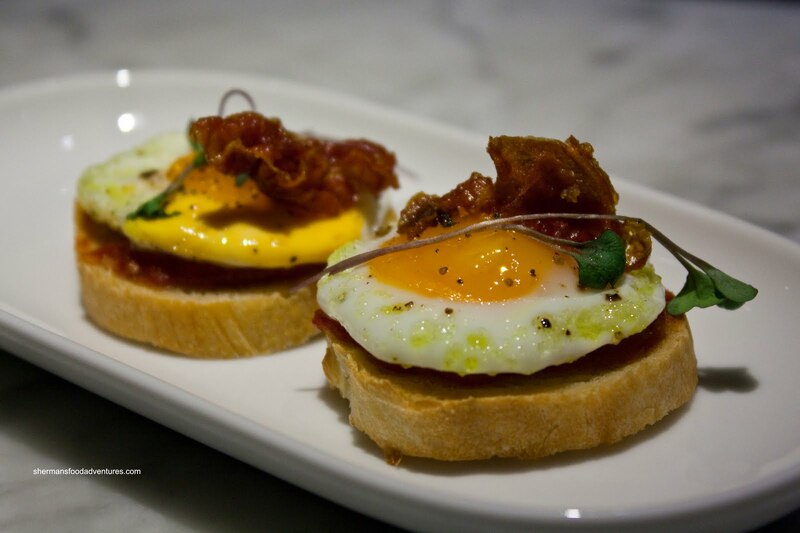 Anyways, our first item was the Bacon and Egg Pintxos (which are little bites eaten at bars). A simple construction of a crouton, tomato relish, fried quail's egg and crispy bacon, this was a satisfying, if not expensive bite. I liked the smoky and crispy bacon; yet would've liked to see the egg cooked a little less. Next up was the Beef Tongue with salsa verde. You'd think a day eating balls and nuts, Mijune would not need any tongue... Um... So, the tongue itself was very soft and moist... Mijune seemed to enjoy that... I liked the contrast between soft tongue and the crunchy bread. The salsa verde provided a nice tang which helped cut through the richness of the meat; yet the drizzle of olive oil didn't seem necessary in my opinion. It just made it greasy. One of the most popular items at Judas Goat is the Marinated Beets with spiced ricotta and rosemary honey. Texturally, the beets were good, walking the line between being soft while maintaining a bite. There was a gentle sweetness from the honey while the ricotta was a nice compliment. 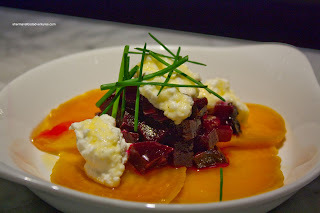 Naturally, a beet salad won't elicit incredible excitement; but this was solid nonetheless. Another set of recommended dishes involved foie gras. 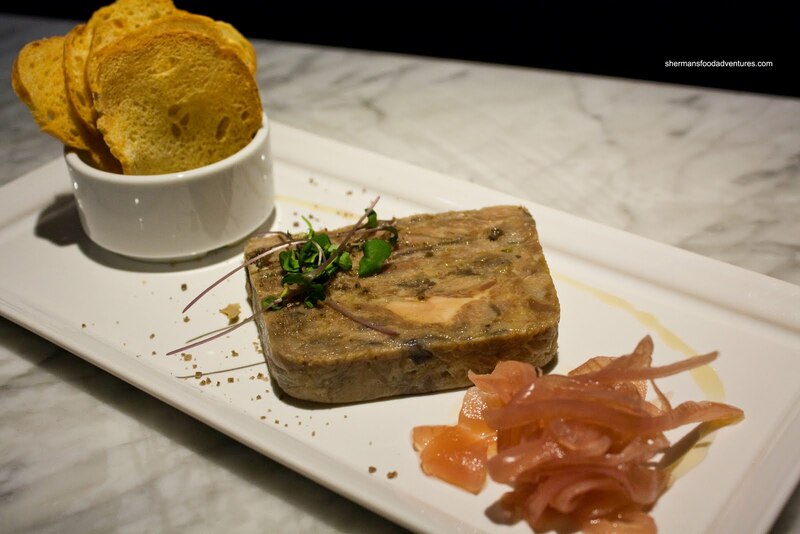 The first was Duck Confit & Foie Gras Terrine served with crostinis and pickled onions. The terrine was actually quite dense with a small piece of foie in the middle. With that in mind, there wasn't much in the way of foie other than one bite when we reached the middle. The meat was slightly chewy and dense while exhibiting a salty duck flavour. The pickled onions were necessary to balance this saltiness. 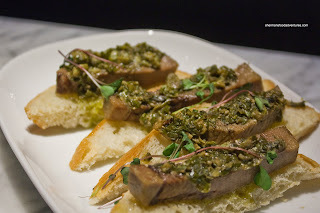 I didn't mind the terrine; but I liked the Foie Gras on Toast with Green Apple much more. Despite missing the green apple, it was still quite good. 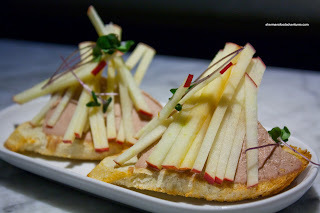 With really smooth foie mousse atop a crispy piece of toast, it was a nice textural contrast as with the crisp apples. Ho wever, it would've been even better with more tartness if it were green apple. It would've cut the richness even more so. 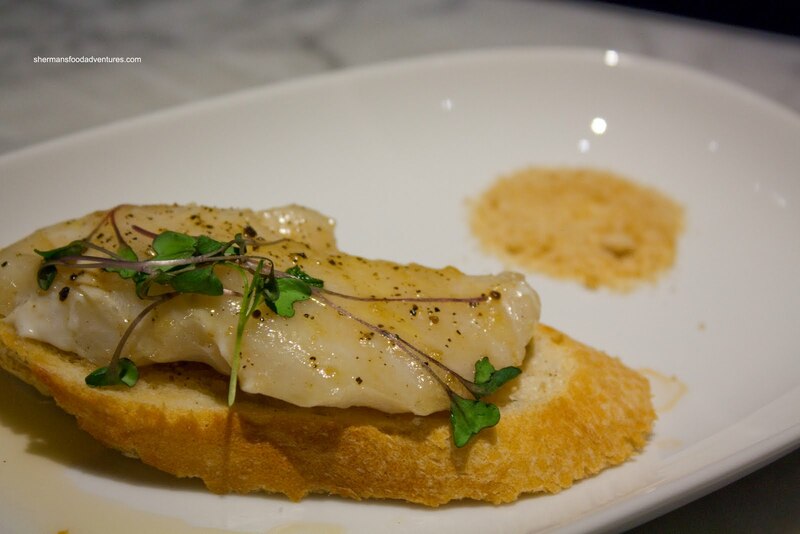 Now the next item sounded good on paper - Maple Sugar Sablefish. However, it just didn't do it for me. Sablefish or black cod, is not an easy fish to mess up. Due to it's oily makeup, it usually remains moist despite the level of cooking it is exposed to. However, this one was a bit mushy while the maple sugar really didn't have the impact I was looking for. So what we essentially got was a $9.00 set of mushy bland fish on to ast. The next item was a roller coaster ride of sorts. 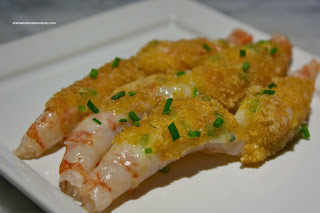 The Gambas al Ajillo, or prawns rolled in citrus aioli with a garlic and shallot crust were nothing special with the first one I had. Well, it did taste good due to the natural sweetness of the prawn combined with the crust and aoili; but it was mushy (not a pleasing texture for prawns). However, the second one was fantastic. Combined with the garlic and slight tang from the aoili, the sweet prawn has an understated snap. Then the third one was something in the middle. If we average it out, then it was pretty decent. Unfortunately, the last dish was probably the worst of them all. Call it bad luck because most of the other items were quite good. 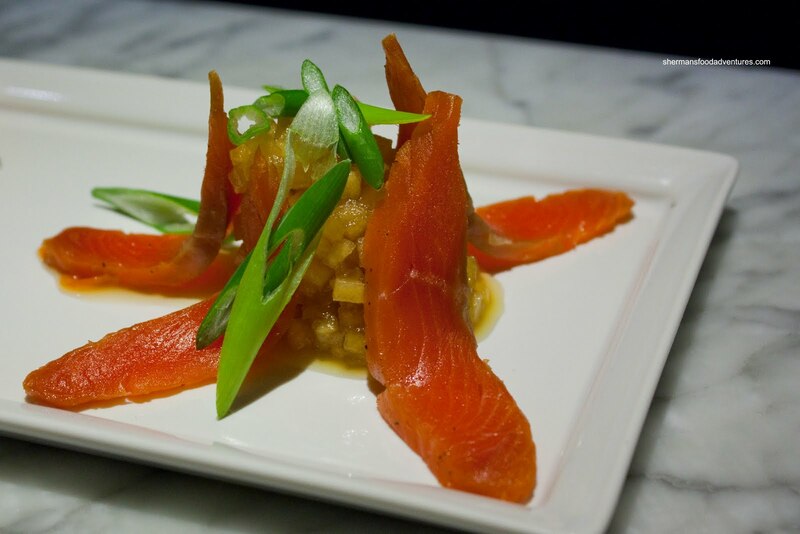 The Cold Smoke Salmon with Pear Relish sounded really good; but the salmon was far too salty. Even the sweet pear relish could not help balance it out. I tried putting copious amounts of it to no avail. This and the sablefish didn't do it for us; yet all the other items were pretty good. Now, this all comes at a price though. We ended up spending $90.00 on what amounted to snack food. And we didn't even have any booze. I must admit that the small little place has its charm and some of the dishes were interesting; however, the cost can quickly add up. Depending what your cost threshold may be, Judas Goat could either be a neat experience or one that is just not worth it. Wow! The food looks incredibly yummy! Maybe the owner can move up to a better location some day. Andi, I think part of the charm is its location. Not sure if they would move. Although it is a bit dicey!